Tesla customers must order their vehicles by October 15 to guarantee access to the full $US7,500 tax credit offered by the US government to electric vehicle buyers, according to Tesla’s website. Tesla customers must order their vehicles by October 15 to guarantee access to the full $US7,500 tax credit offered by the US government to electric vehicle buyers, according to Tesla’s website. The website indicates that customers who place their orders by October 15 will guarantee delivery by December 31, after which the credit begins to expire. The US government gives people who buy electric vehicles a tax credit of $US2,500 to $US7,500, depending on the vehicle’s size and battery capacity. As Tesla wrote in an annual report filed with the US Securities and Exchange Committee in February, its customers get the full $US7,500. But two calendar quarters after a company sells its 200,000th electric vehicle in the US, the tax credit begins to phase out. Tesla confirmed to Business Insider in July that it had passed the 200,000-vehicle threshold. Tesla customers who take delivery between January 1 and June 30, 2019, will receive a $US3,750 tax credit and those who take delivery between July 1 and December 31, 2019, will receive $US1,875. Customers who take delivery beginning in 2020 will not receive a federal tax credit. That means those who are waiting for the $US35,000 base-priced version of Tesla’s Model 3 sedan will not be eligible for the full tax credit, since Tesla says on its website that configurations of the Model 3 with a standard battery will become available beginning in three to six months. The least expensive Model 3 currently available starts at $US49,000. 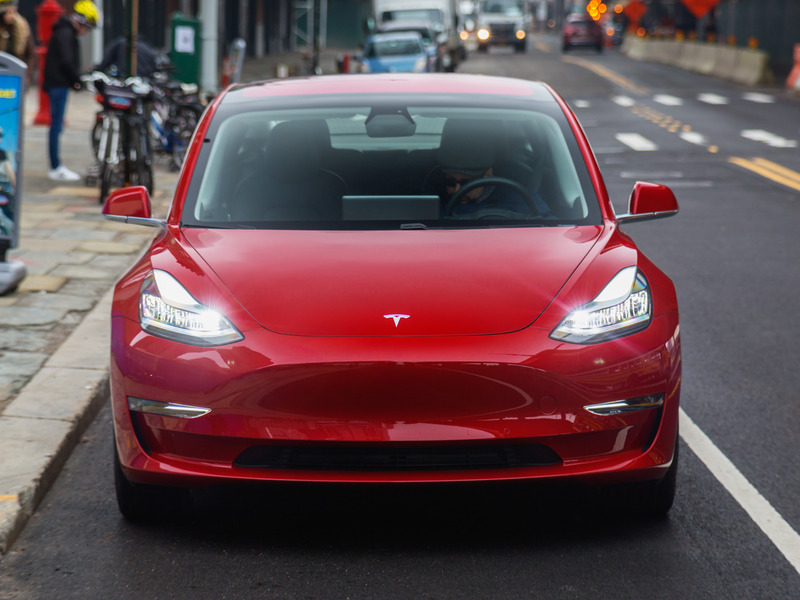 The Model 3 was designed to broaden Tesla’s customer base beyond the luxury segment and has generated significant demand since Tesla began taking reservations for it in March, 2016. The automaker initially struggled to hit its production targets for the vehicle due in part to excessive automation at its Fremont, California, factory. At the end of June, Tesla hit a long-delayed goal of making 5,000 Model 3 vehicles in one week and, at the beginning of this month, the automaker reported that it exceeded Wall Street expectations by delivering 55,840 Model 3 vehicles during the third quarter.